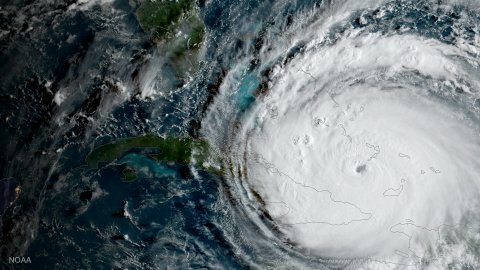 Hurricane Irma will certainly go down in history as a major storm and I don’t think any of us here in Florida are going to forget her anytime soon. Things are still not back to normal and in some areas it will take years to recover from Irma’s damaging impact. Food is still scarce as is gas and the landscape is littered with massive amounts of debris which serves as a constant reminder of the hurricane. If your business has been impacted by Hurricane Irma, over at our sister brand, Superior Business Solutions, you can find tips to help for Florida businesses affected by Hurricane Irma. As you may know, Factory Direct Promos is based in South Florida, so Hurricane Irma was a very big concern for us. Our sister brand, Superior Business Solutions, took away so much worry and stress for us all by offering to handle all of our calls and orders from both new and existing customers leading up to and after the storm. After a conference call with our co-workers at Superior in York, PA on Friday morning before Hurricane Irma hit, they took over all orders for bulk reusable shopping bags and other eco-friendly promotional products. This was no easy feat for them, but they did it with professionalism above reproach and care in their hearts. We Extended Our Thanks to Our Superior Team! We want to thank our sister brand, Superior Business Solutions’, York, Pennsylvania office for taking care of our calls, as well as our new and current customer orders. Things were hectic for them we know, but the Superior team stepped up to the challenge and did a great job offering the help we needed. We are back up and operational in Coral Springs, and it has been a comfort knowing that Superior had our back. Next Next post: What Reusable Bag Material Is Right for Your Brand?